S&D Flooring Specialists Ltd are a Hull based elite team of highly skilled floor layers specialising in commercial and domestic flooring. On Monday 21st May, 2018, they celebrate 10 years in business but also celebrate their continuing journey, development and expansion of their craft. S&D Flooring are proud to be considered by clients as a forward thinking and highly successful commercial contract flooring organisation dedicated to providing an outstanding supply and installation service of highly popular flooring brands. But this didn’t just happen overnight! Roll back 10 years, S&D Flooring Specialists Ltd begun trading from the back of a van down the streets of Hull with just current Managing Director Steve Dixon and a former business partner installing Karndean Design Flooring to domestic properties. After several years of building up a reputation for installing quick, simple and top quality domestic flooring, S&D Flooring expanded into the commercial market. In doing so they became a part of many prestigious projects across the city; secured industry recognised awards and, now currently employs 22 expert hands including several exceptional apprentices. Through years of positive word-of-mouth reviews, recommendations and building excellent working relationships with clients, S&D Flooring and its elite team of installers – more commonly known as the #BoysinBlue on social media – have developed a portfolio of exceptional installations across a multitude of sectors ranging from education and healthcare through to leisure and hospitality. 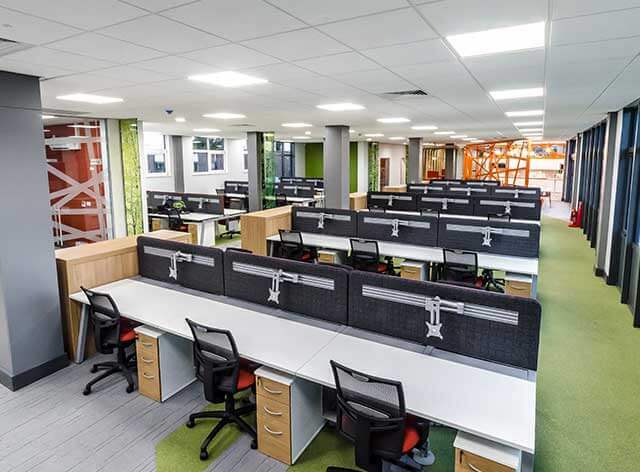 S&D Flooring are regularly contracted by well-known Hull-based construction and design companies and private investors such as: Chameleon Business Interiors, Eco Modular Buildings, Sewell Group, and the Strata Group. Some of their notable projects with these clients have included the renovation of several wards at Castle Hill Hospital, C4Di, Ron Dearing UTC, Rollits Solicitors, Essex House, University of Leeds School of Fine Arts and the Turner Prize nominee Rosalind Nashashibi at the Ferens Art Gallery. Rolling into 2015, S&D Flooring were awarded the prestigious Contract Flooring Journal Industry Award for designing and installing an at the Seaside themed flooring design at Whitby Court Care Home on behalf of Karndean Design Flooring. 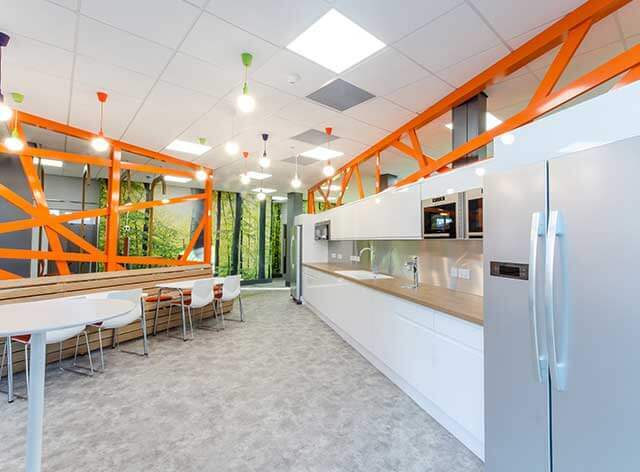 It was also around this time that S&D Flooring begun to improve its sustainability – becoming an active contractor for the Recofloor take back vinyl scheme, which recycles all their waste vinyl and turns it into stylish new flooring for flooring giants Altro and Polyflor. 10 years is a huge milestone for many small organisations and S&D Flooring is no exception. But rather than looking back at all the great work they have done, S&D Flooring continues to seek new opportunities to build upon and expand into new markets over the next ten years. Part of this includes S&D Flooring aiming to become one of the best flooring companies in Yorkshire. By continuing to regularly conduct and promote their high quality and professional installations nationwide, S&D Flooring looks forward to welcoming and working with new contractors to continue transforming our nations flooring for the better. Grow its operations, train more apprentices and give more back to the community that has helped S&D Flooring survive and thrive. If you are thinking of a new flooring project for an interior, no matter how big or small, S&D Flooring are right by your side as their Boys in Blue create your masterpiece. As part of working with S&D Flooring, they promise to provide expert consultations and first-class advice every step of the way, including outstanding aftercare, which they believe is just as equally important and has helped them secure even more projects for the future. Plus help set S&D Flooring apart from their competitors. If you are unsure about how much flooring you need, the dedicated sales team will conduct a free site survey, if required, along with answering all your queries about a project. With a wide range of textures, styles and colour palettes from leading brands such as Karndean Design Flooring, Polyflor, Tarkett, Forbo and more… The only limit is your imagination. So, stop reading the paper, pick up the phone and get ready to leave a lasting surface to walk over with S&D Flooring. Think and create it with S&D Flooring! Call us today on 01482 839801 or, Email sales@sanddflooring.co.uk for further information and ­­ideas. Last week S&D Flooring Ltd and the #BoysinBlue had the pleasure to meet Sue at Pizza Mamma and thoroughly enjoyed eating her freshly baked pizza creations from her mobile kitchen. Steve Dixon, Managing Director of S&D Flooring, discovered Pizza Mamma on LinkedIn after hearing all about the positive reviews and thought this would make a great treat to the staff who have worked very hard over the past month. It was really fun to watch our favourite pizza’s being cooked in front of our very eyes, not to mention mouth-watering when they came out of this colourful pizza oven on wheels. S&D Flooring would highly recommend Pizza Mamma to anyone! The food is delicious and Sue is a very friendly person. Lots of our employees enjoyed the food so much that they went for seconds and some even thirds. Overall the food was enjoyed by all, and the #BoysinBlue would love to enjoy Sue’s pizzas again! Looking for a bite to eat, Contact Pizza Mamma! It’s the one of the biggest and most prestigious international visual arts event of the year and S & D Flooring has made its mark with this latest installation. The Turner Prize, which has since 2011 been staged outside of London every other year is presented at the Ferens Art Gallery in Hull as part of the UK City of Culture programme. Completed Turner Prize film space with Gradus LED Nosings and Black Carpet in Ferens Exhibition Gallery 7. S & D Flooring was approached by Sewell Construction to supply and install 300 square metres of luxury black carpet and underlay in Exhibition Gallery 7 of the Ferens Art Gallery. Gallery 7 has been dedicated to display the works of the 2017 Turner Prize nominee Rosalind Nashahbi who specialises in film. As part of her exhibition, the space features two tiered film spaces that can accommodate up to 50 spectators at a time. Within these spaces S & D Flooring was appointed to install black carpet with blue LED Nosings. Ferens Art Gallery Exhibition 7 plan. With only 7 working days available to install over 300 square metres of flooring products across the site amongst other construction trades, it was another fast paced and highly precise operation for S & D Flooring and the Boys in Blue to ensure we complete the project on time. One of the challenges for S & D Flooring during this project was working around several different trades whom were conducting their own wall, electric and furniture installations. To mitigate the potential risks of not being able to complete the project on time it was agreed that after completing a sub floor preparation our installers would quickly install flooring in one area whilst trades worked in another before protecting the newly installed floor and moving around to another area of the site. This proved to be successful but challenging at times, especially in the two dedicated film spaces and foyers. One of the best parts of this project was when the project was fully completed and spectators could enjoy the works of Rosalind Nashahbi in this temporary exhibition whilst walking on S & D Flooring’s very own masterpiece. S & D Flooring would like to thank Sewell Construction for giving us the opportunity to work with them on a high profile Hull City of Culture project. It was a great privilege to contribute to the Hull City of Culture programme. S & D Flooring would also like to thank the staff and Hull City of Culture Volunteers at the Ferens Art Gallery for their patience and support whilst we prepare one of the exhibition spaces for the Turner Prize. For further information on this project or you are simply interested in planning a similar project with us, contact S & D Flooring Ltd on 01482 839801 or e-mail us at sales@sanddflooring.co.uk. S&D Flooring Ltd have been awarded a £100 Red Letter Day experience gift card from the Recofloor vinyl take-back scheme following the end of their summer promotion. 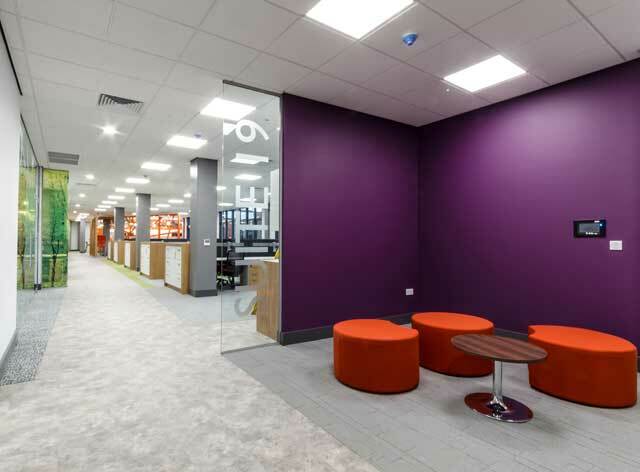 Recofloor, a leading vinyl take-back scheme founded by reputable manufacturers Altro and Polyflor for the commercial flooring industry, recognises the importance of raising the sustainability of the flooring industry. It is also currently used by hundreds of organisations across the UK. As part of their summer promotion event, S&D Flooring Ltd and many other flooring organisations were required to continue to recycle their waste vinyl flooring with Recofloor during August 2017. For every two bags filled with waste vinyl collected, the organisation would receive one entry into a draw for a chance to win one of three £100 Red Letter Days Gift Cards. Working on over 20 various sized projects during August 2017, many of which included the removal and installation of vinyl, S&D Flooring Ltd managed to generate 20 bags which equated to 2.25 tonnes of waste vinyl being saved from going to landfill. As a result, this secured S&D Flooring Ltd with 10 entries into the Recofloor summer promotion. On Friday 1st September 2017, S&D Flooring was selected as one of the recipients for the £100 gift card voucher along with two other flooring organisations. Steve Dixon, Managing Director of S&D Flooring said: “Working with Recofloor over the last couple of years has been great for improving S&D Flooring’s commitment to sustainability. Having being awarded this special prize from Recofloor for continuing to use their service and recycle waste vinyl flooring has been a great bonus for the company at the end of a busy summer. S&D Flooring would like to thank Recofloor for selecting us in this year’s summer promotion and I look forward to giving this award to a hard-working employee at the organisation.